When it comes to math… well, let’s just say math and I are not on good terms. There’s a reason I’m a writer and not an architect or an engineer. But sometimes, simple math can reveal to some profound truths that can put things in perspective. For example: there are 1,440 minutes in a day. Multiply that by 0.01 and you’ll get 14.4 minutes. In other words, 14.4 minutes equals one percent of each day. That realization changed things for me. The “I don’t have time” excuses I had been making started to melt faster than a snowman plopped on South Beach in July. “I don’t have time” is one of the biggest lies we tell ourselves. We do have time. We just have to fight for it. Am I really telling myself that I don’t have 14 minutes and 24 seconds, one measly percent of my day, to spare for the things I say are important to me? Am I really cutting myself that short? And then I started to think about how different my days would look if I spent just one percent of each day on the things I said were important to me. What if I started setting aside the first 14.4 minutes of each morning to read a little bit from my Bible? How many more words would I get written or how many more books would I read if I spent 14.4 minutes during my lunch break writing or reading something instead of spending it on social media? How much healthier would I be if I spent the first 14.4 minutes after I get back from work going for a walk or a jog or a bike ride around the block? I’m going to go Al Pacino from Any Given Sunday on you for a second. In that movie he gave one of my favorite movie speeches of all time, talking about how life – and football – is a game of inches, and that those inches can make the difference between winning and losing, living and dying. Those inches – those minutes and seconds – are everywhere, all around us, and we have to fight for them. Likewise, we have to fight for those 14.4 minutes that we often tell ourselves we don’t have because, whether we feel it or not, those minutes are there. 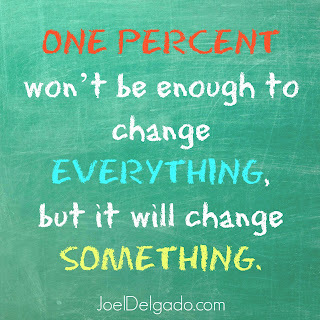 Maybe spending one percent of your day on something doesn’t sound much or nearly enough to accomplish what you want to accomplish, or change what you want to change. 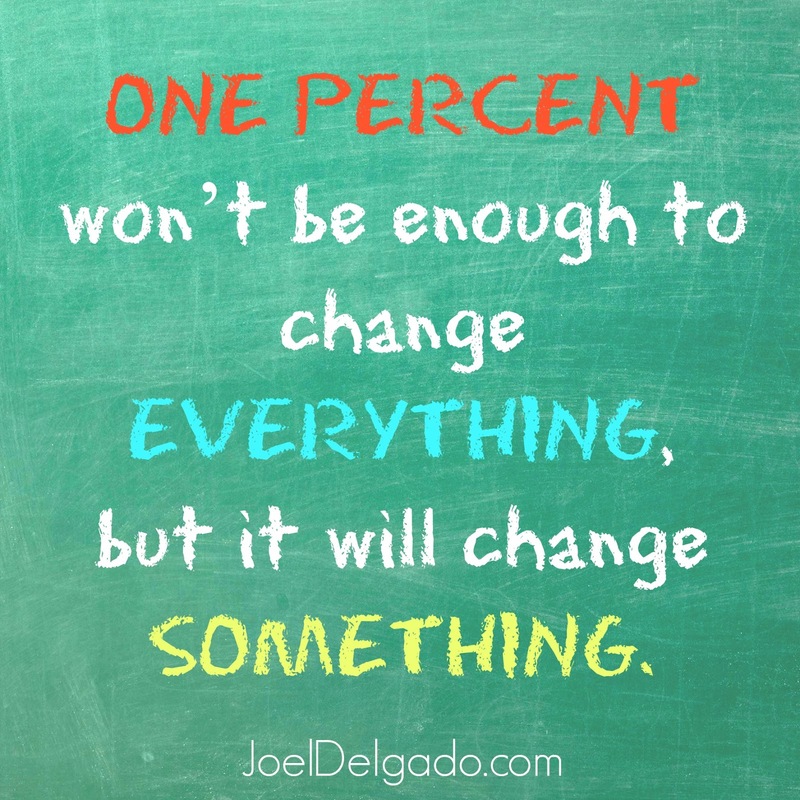 But here’s the thing: one percent won’t be enough to change everything, but it will change something. I’m no math wizard, but I do know that something is always better than nothing. And that little something could lead to something more later on. Those 14.4 minutes, and how we use them, are where we get started. The 14.4 Minute Challenge: Pick one thing – running, writing, Bible study, painting, anything! – and for the next month, set aside 14.4 minutes of each day to do it.